When most people think of Mississippi, they picture boats drifting down the big waters of the famed river itself. The majestic waterway is still a crucial part of Mississippi’s economic, social and physical landscape, and in many ways is a symbol of our ability to persevere through adversity. For more information on life in the Magnolia State, read on or visit the links below. 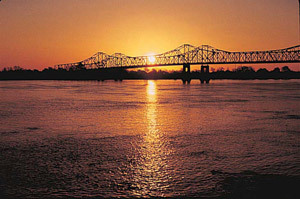 Waterways play an important part in the physical landscape of Mississippi. In addition to the winding Mississippi that forms our western border, major rivers such as the Yazoo, Bib Black, Pearl and Pascagoula and numerous other tributaries make their way across the state. The western portion of the state is made up of the wide lowlands of the Mississippi Alluvial Plain, commonly referred to as simply the “Delta”. To the east, the land becomes slightly hillier and includes marshes, farmland, forests and even prairie land. Mississippi’s coastline along the Gulf of Mexico is a jagged series of bays, inlets and marshland. A low series of barrier islands lies several miles offshore and forms the waterway known as Mississippi sound. Jackson is the state capital and the largest metropolitan area in Mississippi. Jackson also stands as the state’s primary manufacturing, transportation, commercial and cultural center. Gulfport is a major shipping port and resort destination. Hattiesburg is a trade and education center for southeastern Mississippi. Greenville is the largest city north of the I-20 corridor, and is principally a river port and trade hub. Though cities in Mississippi have experienced continual growth over the last 60-plus years, the state remains one of the most rural in the nation. As of the 2000 U.S. Census, only 49 percent of the state’s population were living in urban centers. Unlike much of the country, small towns remain a vital part of life here. The dark, highly fertile soil found in the floodplains of Mississippi’s many rivers are perfectly suited for crop cultivation, and accordingly some twenty percent of the state is comprised of farmland. Once almost entirely reliant on agricultural production, Mississippi’s economy is now centered on service sectors as well as manufacturing. Numerous tax advantages, a strong labor supply and access to raw materials have attracted many industries to Mississippi from the Northeast in recent years. The legalization of gambling along the Mississippi River and the Gulf Coast in the 1990’s helped increase tourism in the state. Mississippi’s cultural scene starts with its strong ties to history, as colonial buildings, antebellum homes and historical museums are found throughout the state. 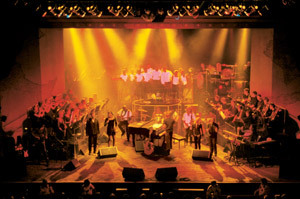 Music has always played an important role in the social lives of Mississippians, from church hymnals and gospel revivals to community-wide folk singing. Mississippi ‘s musical tradition greatly influenced the rich history of blues, and many prominent artists in genres such as jazz, country and rock have called our state home. A growing film scene can be found here as well, as seven film festivals are held around the state each year.